If you’ve been listening to our podcasts lately, you’ll realize that Final Fantasy XIV: A Realm Reborn has infiltrated the lives of all of our staff here on the website. But chances are, because of how often we’ve talked about the game, you probably have gotten curious as to whether or not you have the knowledge to join, understand, or even enjoy MMORPGs. It’s because of this, as well as Anthony and his son’s complete obliviousness to MMO partying, that I’ve decided to write a series of guides that should help him and, maybe, you, to understand how partying works in online games. 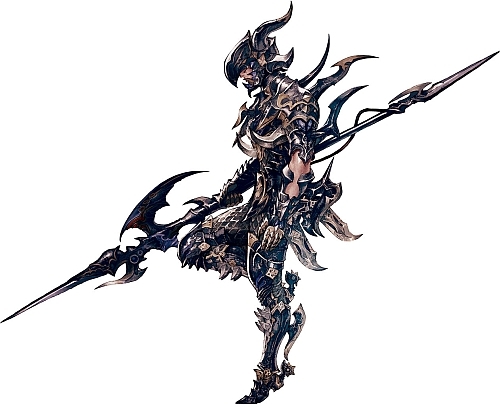 Of course, we will be using Final Fantasy XIV: A Realm Reborn as the basis of these, but rest assured that this knowledge can be carried over to any MMORPG in the market. This guide will talk about MMORPG partying… but not just that. We try and break down the importance of party roles in both MMORPGs and other RPGs in the market and try to explain why these roles are important. Some of you probably know this already, so if you do, I invite you to join in the conversation in the comments and help out your fellow gamers in understanding these roles should they need assistance. Or, if I dun goofed, let me know so I can update this guide. Are you ready? Good. Let’s get to the root of it all. In order to understand the basics of MMORPG partying, we have to look at other RPGs and see where each comes from. For the most part, base statistics and personalities of certain characters (or, in some games, their pets) in RPGs dictate the role they play in their party. 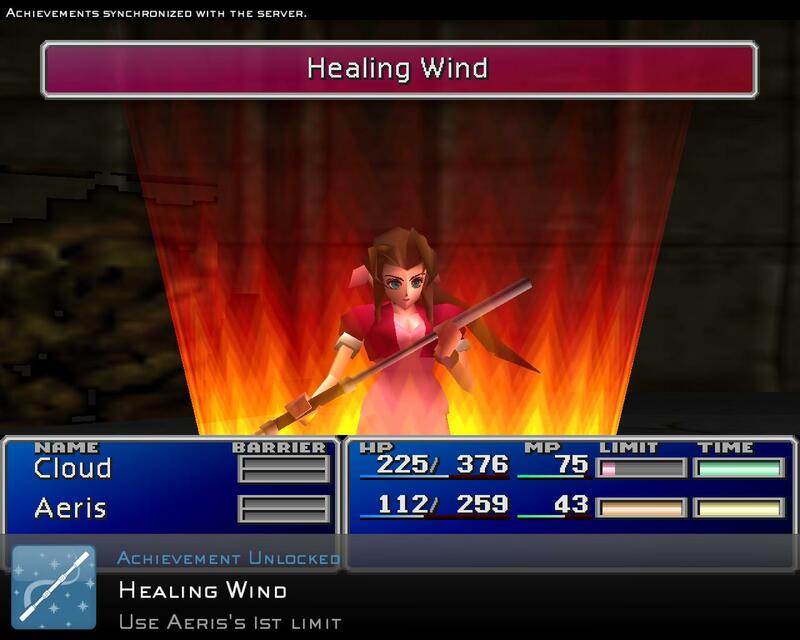 For example, Aeris in Final Fantasy VII is more proficient in curative and support spells, even sporting Limit Breaks that are practically curative and supportive in nature. 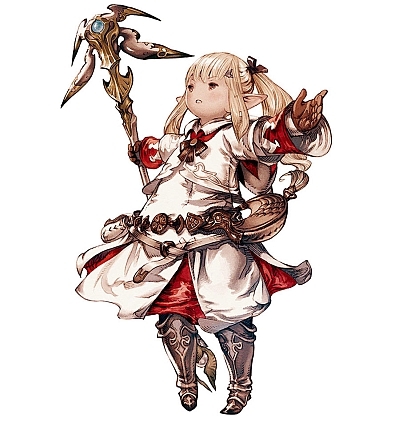 In general, it is easy to find the character that’s designated as the healer role via their character stereotype: they’re usually shy, pretty meek, and often kind. Tank roles, as well as DPS roles, are a little bit more difficult to peg. In western RPGs, it’s certainly a lot easier to find the tanks in your group. A tanks’ sole purpose is to absorb as much of the incoming damage to the party as possible. 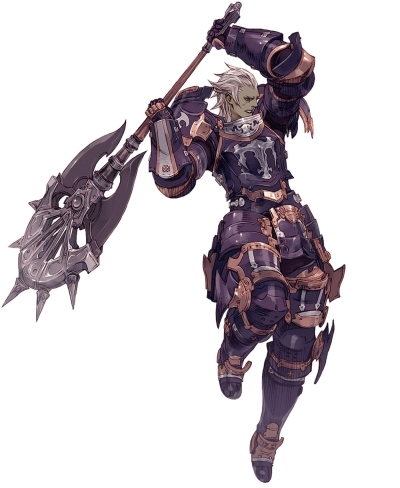 Therefore, these characters usually have massive amounts of health as well as able to equip armor that has a high amount of defense. 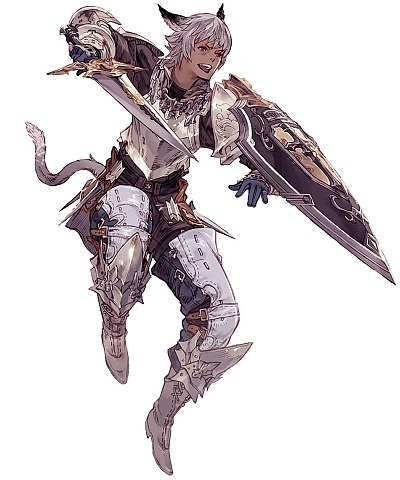 DPS, which stands for “Damage Per Second,” refer to characters whose sole purpose is to supplement the party’s damage output and help take down their opponents quickly without straining the tank or the healer’s abilities. 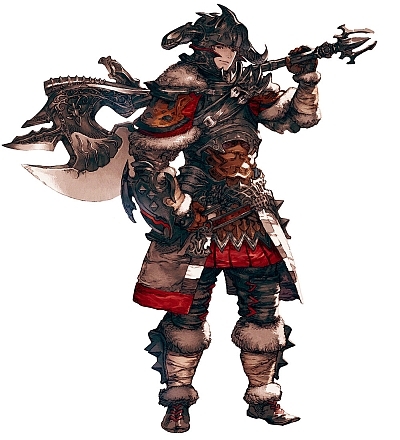 Often times, DPS roles have characters who would much rather have equipment that helps them deal more damage than actual protection, since the tank gets much of the damage to begin with. If this is the first time you’ve heard of the Tank and DPS roles, then you’re not alone. In fact the first time I’ve ever heard of these two roles was when I began playing MMOs a decade ago. Granted, had I known these existed, I probably would’ve tried to look for them actively in games that I play. And yet even now, a lot of the RPGs that I play do not adhere to this trio of roles. But from a practical standpoint, wouldn’t it make sense to have a party that’s structured this way? It’s these two roles, along with the healer role, that make up what MMORPG players call the Holy Trinity. So how does the Holy Trinity work? The Holy Trinity works by having a tank receive all incoming damage, prompting the healer to only have to worry about healing the tank while all the other DPS classes deal as much damage to the targeted enemy as possible. Let’s break that down by examining a sample fight. Let’s say there’s an enemy encounter coming up ahead. The tank jumps right in, uses an ability that attracts the attention of all the immediate surrounding monsters in the area, and basically starts the fight. By doing this, the tank initially gets Aggro. Aggro or Enmity is a term referring to the amount of attention or “hate” a monster has on a particular party member. 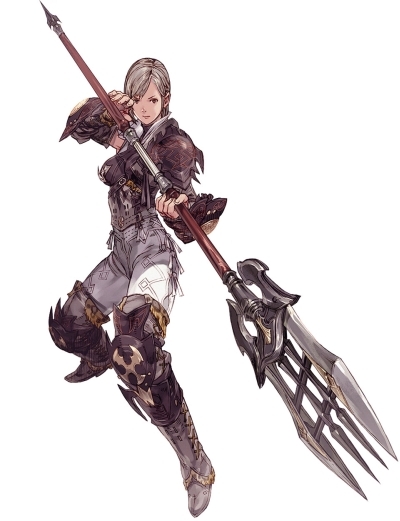 By being the first person whom the monsters encounter and attack, the tank has a leg up on Aggro compared to anyone else who might join the fight. In addition to this, it is the tank’s responsibility to keep the Aggro so that other party members won’t incur the attacking monster’s wrath. Aggro can shift depending on events that happen during battle. For example, if a healer heals the tank too often, it attracts the attention or “grabs Aggro” away from the tank and shifts it to them. This is because the enemies notice that in order for them to defeat the person that they’re currently beating up, they’ll have to prevent the one person – that’s the healer – from restoring their target’s health. DPS classes can grab Aggro away from tanks as well. This usually happens because the DPS might be dealing too much damage in too fast a duration. 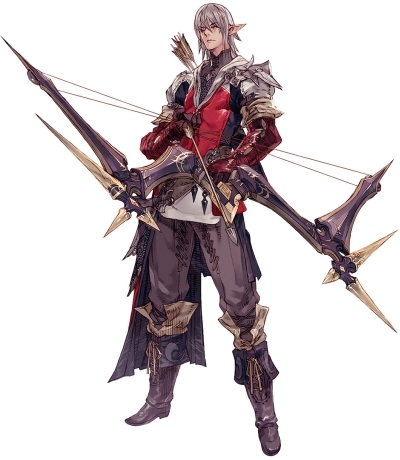 Normally, DPS classes have abilities that can increase the amount of damage they can inflict during a given span of time. By dealing too much damage too fast, enemies will notice that they’re getting hurt by someone outside of their current target, therefore shifting their focus away from the tank. In short, battles in MMORPGs revolve around playing the appropriate role you’ve chosen for yourself in relation to everyone else in the party. Unlike other RPGs, MMORPGs are different because you only have control only one character – yours. The key to a successful battle is being able to ensure that the tank stays healthy (thanks to the healer) and maintains Aggro while the DPS deals as much damage as they can without gaining too much Aggro. If you’re a beginning MMORPG player, the best way to learn the mechanics of the Holy Trinity and Aggro is to start off as a DPS. Both tanks and healers have huge responsibilities when it comes to the survival of the whole party and you probably don’t want that much pressure from the onset. Depending on the game you’re playing, the penalties for a party death (or “wipe,” in MMORPG parlance) can vary from game to game. In Final Fantasy XIV: A Realm Reborn, dying means that your equipment gets damaged and you’ll have to spend money to get them repaired. 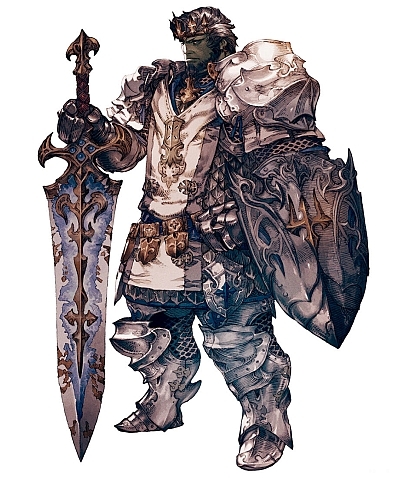 But if you were playing something like Final Fantasy XI Online, not only could dying mean losing hard earned experience, but also level your character down and therefore losing the ability to wear any equipment you’ve worn at your previous level! Should I play as a DPS? 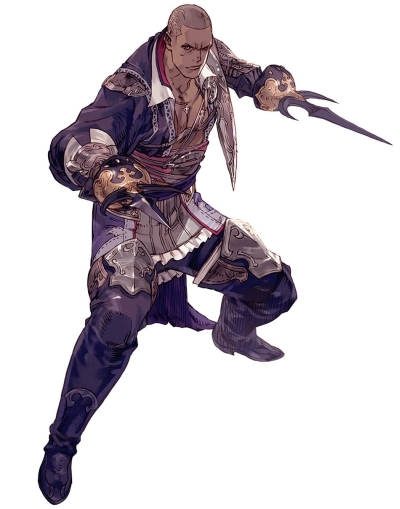 The upcoming class Rogue (Limsa Lominsa, allegedly), which will be introduced in patch 2.4 of Final Fantasy XIV: A Realm Reborn is considered DPS. Should I play as a Tank? Should I play as a Healer? Healers provide both healing spells and ways to remove debuffs (i.e. stat penalties) such as Poison and Paralysis that enemies inflict on your party. The key to being a successful healer is to only use healing spells enough so that it ensures that the tank has enough health to absorb incoming damage without grabbing Aggro from them. In the event that other party members get damage, healers are also responsible for making sure that their health gets back up to a safe level. 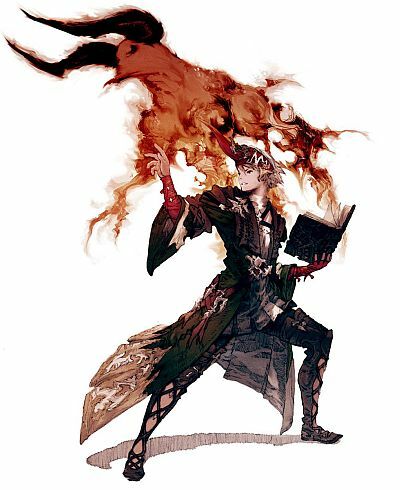 In a way, healers are responsible for much of the morale of the party and are tasked with ensuring everyone’s survival. 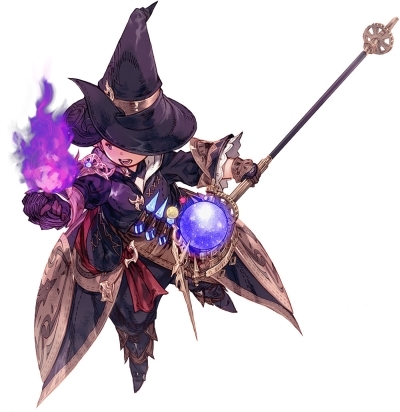 And given that Conjurers won’t get the ability to Raise during battle until they receive a Trait later on, early healers generally have a high stress job even though it may appear as though they rarely do anything in battle. 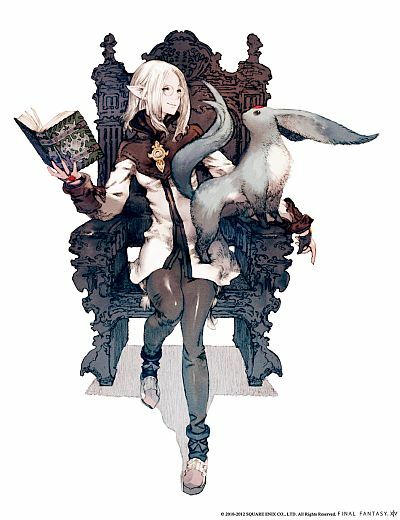 This next part is exclusive to Final Fantasy XIV: A Realm Reborn and should be read by anyone still selecting a role in the game. Unlike some MMORPGs, once players get to their level 30 class quest, players will have the opportunity to upgrade their class to a job. Much like the job transformations in early Final Fantasy games, players will be able to get increased stats and exclusive abilities by equipping a Soul Crystal. For the most part, roles do not change when classes turn into jobs. However, there are some exceptions. Before you say anything – yes, Archer turns into a Bard. 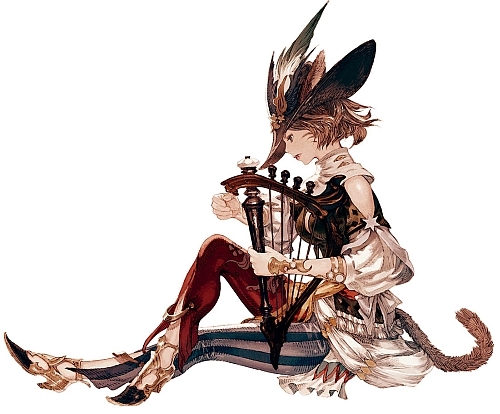 This is also an interesting role shift because not only is Bard considered DPS, but they also have support abilities that can help mages. Notice anything? If you notice that Arcanist is listed with two jobs as both DPS and healer, you’re seeing it right. You can become both a Summoner and a Scholar by just leveling Arcanist! 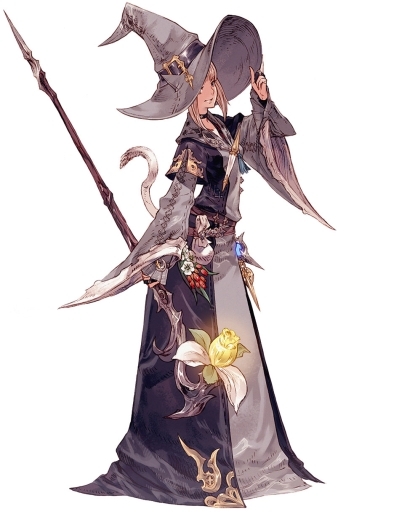 I’ll be writing a separate article on the differences between a Scholar and White Mage healer later, but for now know that Arcanists have a choice of what job they can be. I don’t normally do a summary for any of my articles, but given that there’s a lot of information to digest here I felt it’s a little necessary. Of course, this summary is just an overview of what I’ve talked about and I encourage you to read through the whole thing should you be serious about learning about this sort of thing. 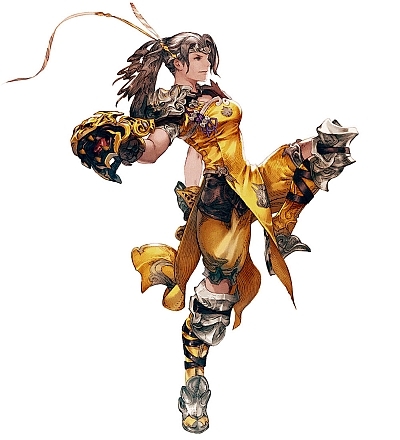 While there are many classes and jobs, there are three primary roles in a party: Tank, Healer, and DPS. DPS is a good beginner class to learn about party mechanics and Aggro. Aggro, or Enmity, is a measure of a monster’s attention span on any given party member. 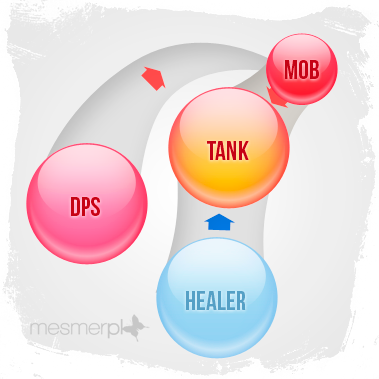 The tank should have full Aggro to ease the roles of the healer and the DPS. 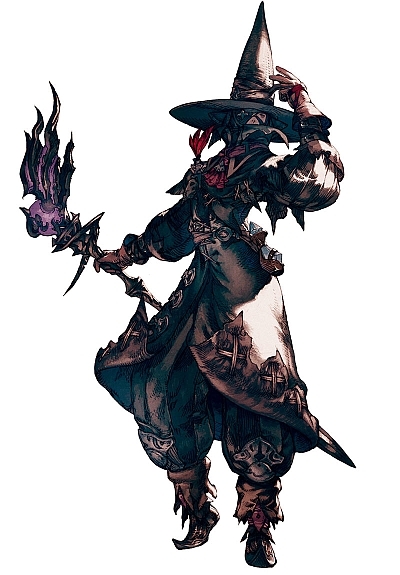 In Final Fantasy XIV: A Realm Reborn, classes can turn into jobs which allow for more refined abilities and higher stats. 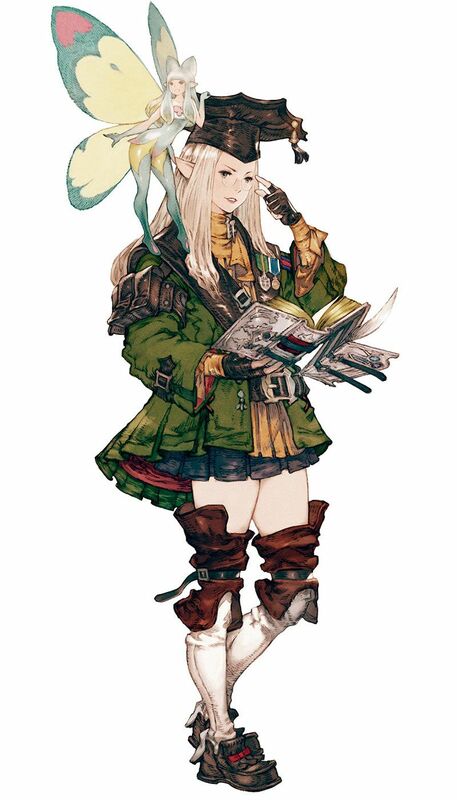 Arcanists can obtain two jobs: Scholar, which is a healer job, and Summoner, which is a DPS job. I play 2 classes in MMORPGs, the Tank and Healer. One important thing I would like to add to the discussion is that it is okay to go slow in a MMORPG. Take your time to learn your role and don’t rush to the end unless you are a veteran MMO player. The reason why you shouldn’t rush to the end as a new player is that people are unforgiving if you haven’t learn to play your role in a competent manner. This is especially true if you are playing a tank or a healer. As a new player, try to join a guild as most guilds will help you learn the game quicker and provide you with any assistance you might need. To those who want to play a Tank, always wait for your healer’s MP (mana points) to fill up or be close to full before a boss fight or a big fight. If you don’t, you won’t survive very long XD. Always try to know where your healer is because they are always moving around to avoid being hit. They have a range limit to their healing spells. Try to avoid taking damage from avoidable spells or skills. In long fights, this will increase your survivability because you are not draining your Healer’s MP (mana points). To those who want to play a Healer, know how much you heal the tank. This will help you not over heal the tank and take aggro away. Never stand in one spot during boss fights because bosses love throwing spells or whatever they have at you xP. Try not to be too far away from your tank as your healing spells do have a range limit. Most importantly, learn to manage your MP (mana points). That’s all I can contribute at the moment. I was playing my Conjurer last night in FFXIV and there was this party where this tank basically ran off without a protect and one of the two Thaumaturges kept running off and exploring other parts of the dungeon, until he got killed twice without me healing him. There was also a time when this same Thaumaturge ran into battle and aggro’d a whole bunch of monsters. One of the worst healing experiences I’ve had. Ugh! Oh my goodness. I feel for you.